The number of migrants coming to Europe may be down 96 percent compared to the peak of 2015, but EU leaders will try on Thursday (28 June) to calm renewed fears of political disintegration by agreeing on new measures to stem migration. "The stakes are very high. And time is short," European Council president Donald Tusk warned on Wednesday in his invitation letter to heads of state and government. He pointed out that new political movements were bringing "simple, radical and attractive" answers to the "most complicated questions." Tusk added that "more and more people are starting to believe that only strong-handed authority, anti-European and anti-liberal in spirit, with a tendency towards overt authoritarianism, is capable of stopping the wave of illegal migration." A year ahead of the European elections, the arrival of a far-right and anti-establishment government in Italy, as well as domestic pressure on German chancellor Angela Merkel from her right-wing flank have created a sense of emergency - that is not supported by the situation on the ground. 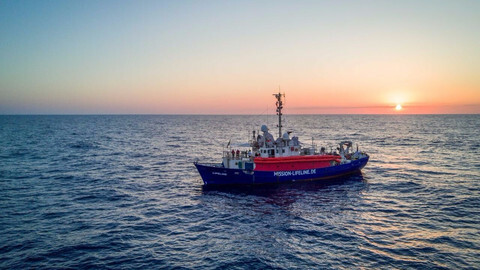 An EU official pointed out that is was a "paradox" that the issue was dominating public debate and the media while numbers of arrival are at a four-year low. "It is important to stress the message that the situation is under control in terms of arrivals," the official said, while a diplomat warned against seeing the summit "as a crisis-management summit." 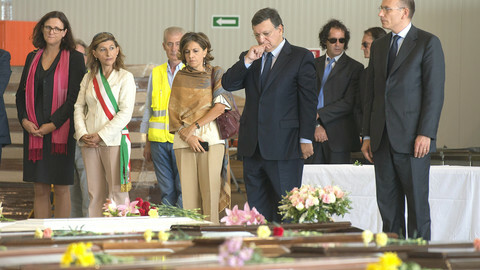 "We are paying now, with a delay, decisions we took several months or years ago," a top source in a member state argued recently, admitting that the EU was "paying for when we abandoned the Italians" when they faced massive arrivals. "The groundswell is inevitable if we don't take stronger measures," the official said, referring to the rise of extreme and anti-EU parties in almost all the member states. 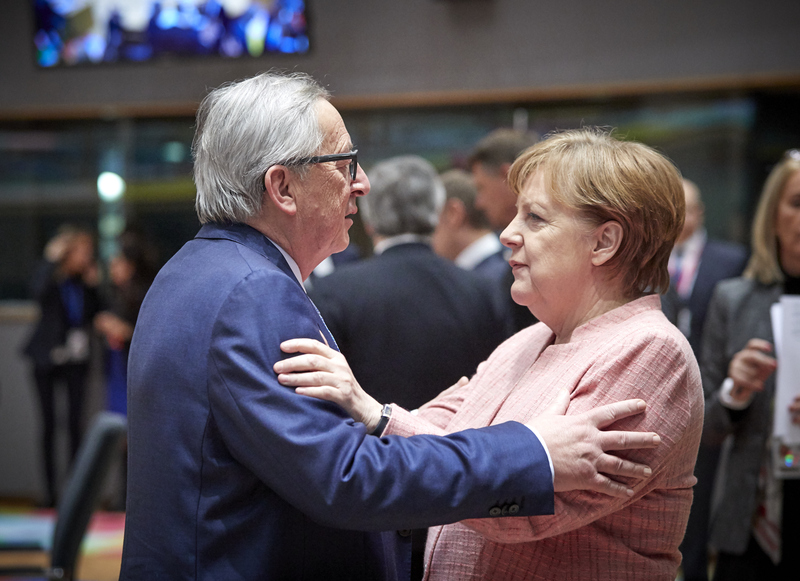 This regular June EU summit had been expected for long to be a crucial one, with hopes to agree on a reform of the EU's asylum system that has been blocked for months - in particular over the divisive plan of mandatory relocation of asylum seekers. While the discussion on internal relocation was making no progress, the latest political events have led leaders to focus on protection of borders as a way to help later progress on EU asylum reform. After a first meeting at 16, organised by the European Commission last Sunday, the 28 will have to agree on new ideas such as so-called "disembarkation platforms" outside Europe, a dedicated fund in the next EU budget to stop illegal migration, and ways to get more cooperation from non-EU countries in keeping migrants out. With complex plans and a what Tusk described as an "increasingly heated" debate, diplomats and EU officials expect a long and difficult discussions over dinner on Thursday evening. "I hope it will be over before breakfast," quipped an ambassador. One of the main points of the discussion will be these disembarkation platforms - facilities where the EU would separate out people who can claim asylum and those who would be considered as economic migrants. 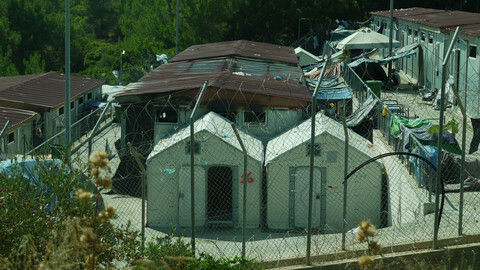 These new structures would be similar to the so-called hotspots that were established in Greece and Italy in 2015. But they would be outside the EU, in an attempt to reduce the "pull effect" on migrants. "We are not talking about camps," a senior EU official insisted, arguing that "the objective is to break the smugglers' model and save lives". The official admitted that leaders will only try to agree on the "concept", and will not "concentrate on practical problems". 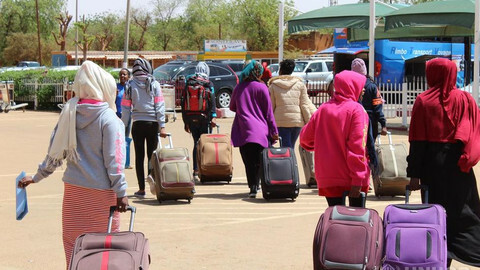 This would come later in discussions with the UN refugee agency (UNHCR) and the International Organization for Migration (IOM), and countries were the platforms would be set up. 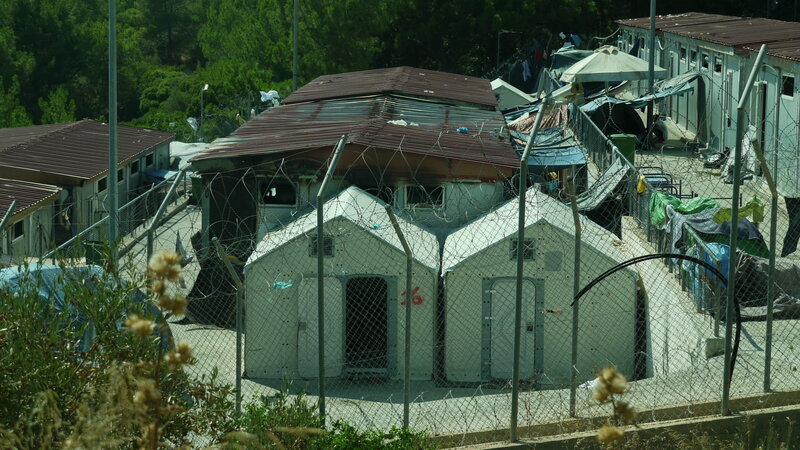 Under the current political pressure, the idea of moving hotspots outside the EU appears to be enjoying a wide support, as well as the intention to replicate the controversial EU-Turkey deal with other countries to keep refugees outside the EU. The discussions will be more difficult on how to articulate this external dimension of EU migration policy with the internal dimension - with Merkel's political survival as an additional stake. Merkel, who insisted on Sunday that all member states should be responsible for all aspects, is pushing for solution to address 'secondary movements' - asylum seekers going from their EU country of entry to others, Germany in most of the case. 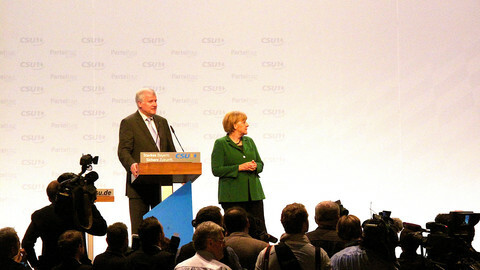 Merkel's interior minister Horst Seehofer gave her until the end of the month to find a European solution to the issue, in order to avoid a political crisis within her coalition. Diplomats in Brussels recognised that there was a desire to find a solution and make the summit a success for Germany and Merkel. "But what does it mean? What will help Merkel?" asked an official. "She needs to specify more clearly what might help her." Merkel and other leaders who have to deal with high numbers of refugees, including Italy's Giuseppe Conte, will face the continued opposition of Visegrad countries to the relocation mechanism. "There is no reason to believe it is possible to find a solution quickly," the senior EU official admitted. 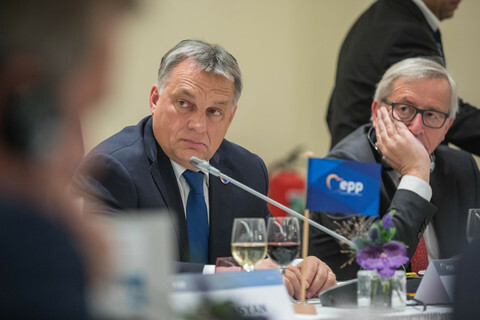 For many, the focus on border protection and the external dimension, plus the slow death of relocation plans, are seen as a political victory for the Hungarian prime minister Viktor Orban, the advocate of the 'illiberal democracies' against which Tusk warned in his letter. 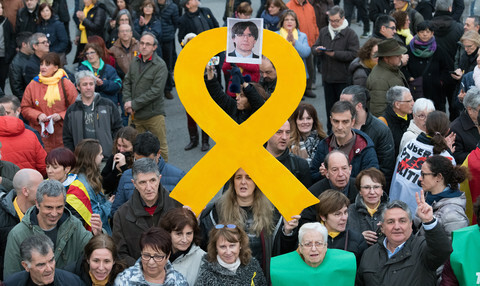 But faced with what Merkel and French president Emmanuel Macron described last week as "existential challenges", the EU is still in search of the right response. "When we have a migration crisis, or a financial crisis, we have the instruments to deal with it," a diplomat noted. "When it's a political crisis, it's more difficult, and it requires leadership and clarity on values." "We have to make choices, and address people's concerns on in substance, not according to how they are presented by populists," he added. Draft conclusions of the EU summit seen by this website suggest setting up "regional disembarkation platforms", possibly in countries near Libya, to separate asylum seekers and economic migrants. Far fewer people are arriving by sea into Europe. As EU leaders are discussing new measures, the debate appears to suggest a major migration crisis. Yet the crisis is more about political indecision. 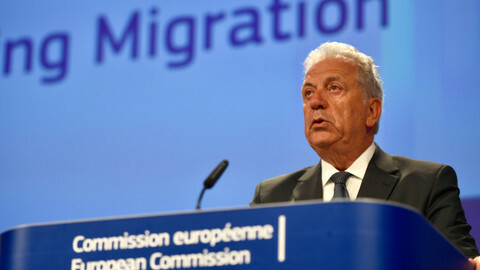 EU migration commissioner Dimitris Avramopoulos says "regional disembarkation schemes" would be set up in countries around the Mediterranean - although none have expressed a desire to participate. 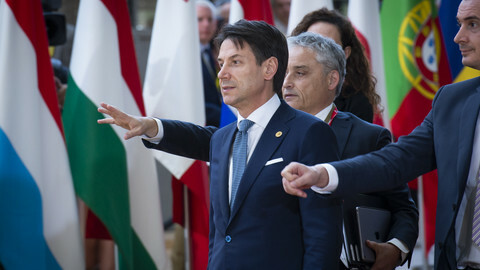 Italian and German demands on migration appear secured for the time being but the concepts agreed at the EU summit to create centres to check migrants within and outside the EU remain vague.